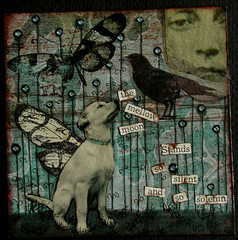 The Mellow Moon – For Sale Here! Feeling no shame; impervious to disgrace. Yep. That’s me.. shamelessly promoting my newest art, and products. No time to really talk tonight as I have boxes of items to add to the store awaiting me.. photos, descriptions, templates, it’s all so tedious! The new stuff? HELLO FABULOUS! I’ll tell you about some of my favorites in the next few days, but for now go check out what’s new so far. BONUS! Buy $10 or more in items, when you request an invoice, email me to say you saw this special promotion.. and you’ll get 15 yards of free luxurious fibers & a pack of Mary Engelbreit Border Stickers!! How awesome is that? Act Fast though, the offer is only good through Monday, July 3rd. 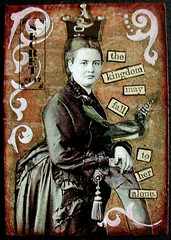 I’ll return to my normal, rambly blog posts tomorrow – In the meantime, lemme know what you think of my latest pieces! 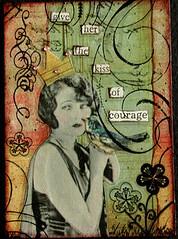 Kiss of Courage – For Sale Here! This – For Sale Here! 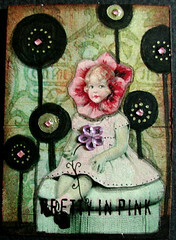 Pretty In Pink – For Sale Here! 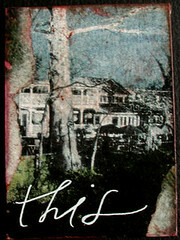 To Her Alone – For Sale Here! 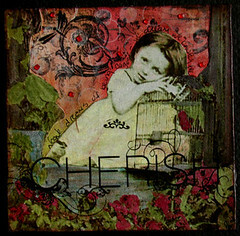 Cherish – For Sale Here! 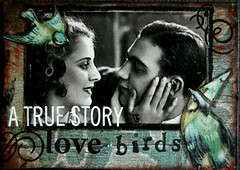 A True Story of Lovebirds – For Sale Here! 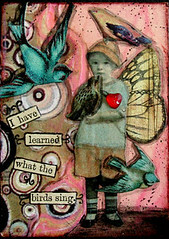 Learn What The Birds Sing – For Sale Here! 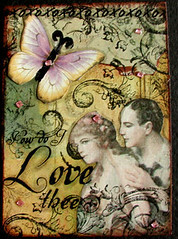 How Do I Love Thee – For Sale Here! 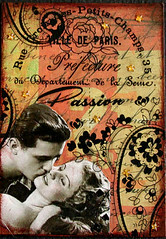 Passion in Paris – For Sale Here! You’re not concieted…your just honest.